Google is playing catch-up in the cloud, and as such it wants to provide flexibility to differentiate itself from AWS and Microsoft. Today, the company announced a couple of new options to help separate it from the cloud storage pack. Storage may seem stodgy, but it’s a primary building block for many cloud applications. Before you can build an application you need the data that will drive it, and that’s where the storage component comes into play. One of the issues companies have as they move data to the cloud is making sure it stays close to the application when it’s needed to reduce latency. Customers also require redundancy in the event of a catastrophic failure, but still need access with low latency. The latter has been a hard problem to solve until today when Google introduced a new dual-regional storage option. This allows companies to have redundancy with low latency, while controlling where it goes without having to manually move it should the need arise. Companies don’t always require instant access to data, and Google (and other cloud vendors) offer a variety of storage options, making it cheaper to store and retrieve archived data. As of today, Google is offering a clear way to determine costs, based on customer storage choice types. While it might not seem revolutionary to let customers know what they are paying, Dominic Preuss, Google’s director of product management says it hasn’t always been a simple matter to calculate these kinds of costs in the cloud. Google decided to simplify it by clearly outlining the costs for medium (Nearline) and long-term (Coldline) storage across multiple regions. Under the new plan, you can select the type of storage you need, the kind of regional coverage you want and you can see exactly what you are paying. Each of these new storage services has been designed to provide additional options for Google Cloud customers, giving them more transparency around pricing and flexibility and control over storage types, regions and the way they deal with redundancy across data stores. Over the course of the last year, Google has launched a number of services that bring to other companies the same BeyondCorp model for managing access to a company’s apps and data without a VPN that it uses internally. Google’s flagship product for this is Cloud Identity, which is essentially Google’s BeyondCorp, but packaged for other businesses. Today, at its Cloud Next event in London, it’s expanding this portfolio of Cloud Identity services with three new products and features that enable developers to adopt this way of thinking about identity and access for their own apps and that make it easier for enterprises to adopt Cloud Identity and make it work with their existing solutions. The highlight of today’s announcements, though, is Cloud Identity for Customers and Partners, which is now in beta. While Cloud Identity is very much meant for employees at a larger company, this new product allows developers to build into their own applications the same kind of identity and access management services. This new service allows developers to build in multiple ways of authenticating the user, including through email and password, Twitter, Facebook, their phones, SAML, OIDC and others. Google then handles all of that authentication work. Google will offer both client-side (web, iOS and Android) and server-side SDKs (with support for Node.ja, Java, Python and other languages). 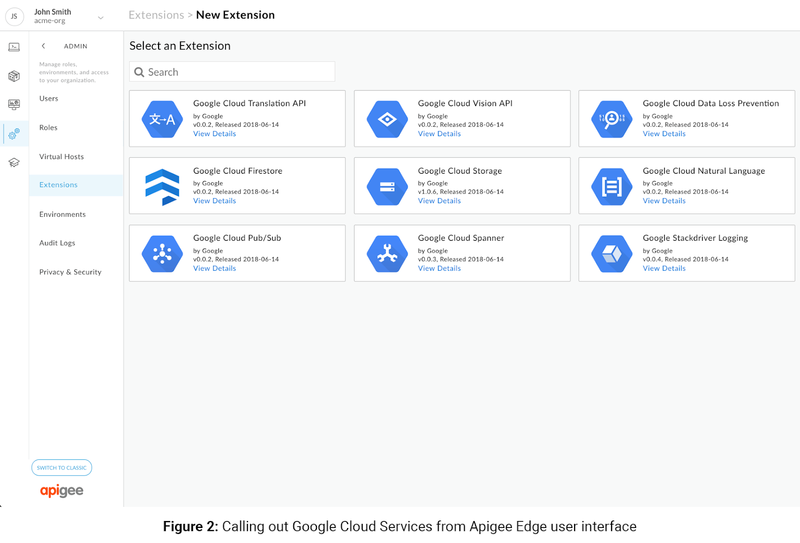 In addition to Cloud Identity for Customers and Partners, Google is also launching a new feature for the existing Cloud Identity service, which brings support for traditional LDAP-based applications and IT services like VPNs to Cloud Identity. This feature is, in many ways, an acknowledgment that most enterprises can’t simply turn on a new security paradigm like BeyondCorp/Cloud Identity. With support for secure LDAP, these companies can still make it easy for their employees to connect to these legacy applications while still using Cloud Identity. “As much as Google loves the cloud, a mantra that Google has is ‘let’s meet customers where they are.’ We know that customers are embracing the cloud, but we also know that they have a massive, massive footprint of traditional applications,” Lakshminarayanan explained. He noted that most enterprises today run two solutions: one that provides access to their on-premise applications and another that provides the same services for their cloud applications. Cloud Identity now natively supports access to many of these legacy applications, including Aruba Networks (HPE), Itopia, JAMF, Jenkins (Cloudbees), OpenVPN, Papercut, pfSense (Netgate), Puppet, Sophos and Splunk. Indeed, as Google notes, virtually any application that supports LDAP over SSL can work with this new service. 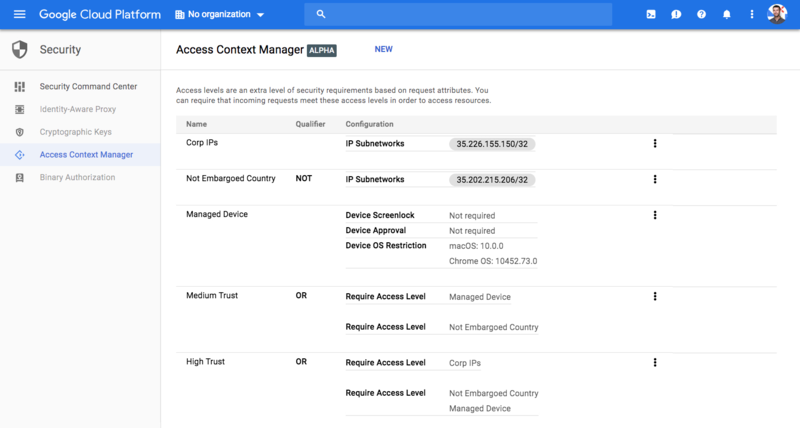 Finally, the third new feature Google is launching today is context-aware access for those enterprises that already use its Cloud Identity-Aware Proxy (yes, those names are all a mouthful). The idea here is to help enterprises provide access to cloud resources based on the identity of the user and the context of the request — all without using a VPN. That’s pretty much the promise of BeyondCorp in a nutshell, and this implementation, which is now in beta, allows businesses to manage access based on the user’s identity and a device’s location and its security status, for example. Using this new service, IT managers could restrict access to one of their apps to users in a specific country, for example. It’s a busy week for news from Google Cloud, which is hosting its Next event in London. Today, the company used the event to launch a number of new networking features. The marquee launch today is Cloud NAT, a new service that makes it easier for developers to build cloud-based services that don’t have public IP addresses and can only be accessed from applications within a company’s virtual private cloud. As Google notes, building this kind of setup was already possible, but it wasn’t easy. 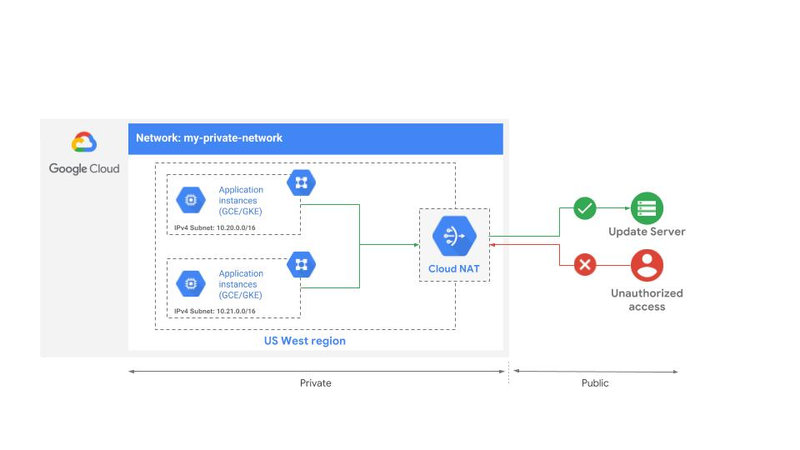 Obviously, this is a pretty common use case, though, so with Cloud NAT, Google now offers a fully managed service that handles all the network address translation (hence the NAT) and provides access to these private instances behind the Cloud NAT gateway. Cloud NAT supports Google Compute Engine virtual machines as well as Google Kubernetes Engine containers, and offers both a manual mode where developers can specify their IPs and an automatic mode where IPs are automatically allocated. Also new in today’s release is Firewall Rules Logging, which is now in beta. Using this feature, admins can audit, verify and analyze the effects of their firewall rules. That means when there are repeated connection attempts that the firewall blocked, you can now analyze those and see whether somebody was up to no good or whether somebody misconfigured the firewall. Because the data is only delayed by about five seconds, the service provides near real-time access to this data — and you can obviously tie this in with other services like Stackdriver Logging, Cloud Pub/Sub and BigQuery to create alerts and further analyze the data. Also new today is managed TLS certificated for HTTPS load balancers. The idea here is to take the hassle out of managing TLS certificates (the kind of certificates that ensure that your user’s browser creates a secure connection to your app) when there is a load balancer in play. This feature, too, is now in beta.